"Hey dudes and dudettes, what’s up?" greets Splish. 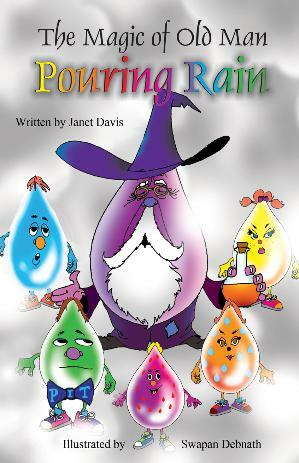 We are raindrops that ..." Splish tries to continue. "I shall tell the kids on earth ‘what’s up’ as you put it," interrupts Patter. created us from an ancient recipe, E C double L P, that brings raindrops to life. clouds back to Old Man Pouring Rain." "Hope to see you there!" attempt to find Summer Stage. when we are in charge!" way of working out difficult situations to help satisfy everyone. families the importance of water and not to waste it. Misty quickly shouts out, "I found it, I found it!" 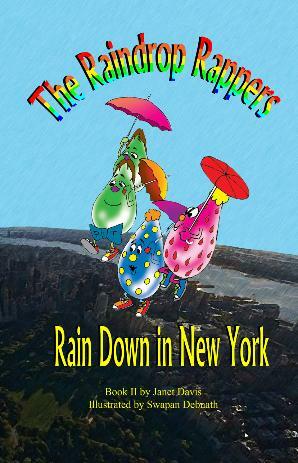 The raindrops go back home into the clouds to get ready for their next adventure.